322 pages | 3 B/W Illus. 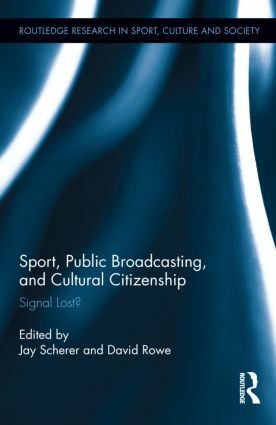 "For me – a media scientist – this book is an interesting and important contribution to the debate on public service media and what its mission will be in the future…In my view this book provides media sport researchers with important facts and interesting perspectives on sport culture, citizenship and media politics." – Britt-Marie Ringfjord, Linnaeus University, Kalmar, Sweden, published in idrottsforum.org, Nordic Sport Studies Forum. Jay Scherer is an Associate Professor in the Faculty of Physical Education and Recreation at the University of Alberta. David Rowe is Professor of Cultural Research at the Institute for Culture and Society at the University of Western Sydney, Australia.